Chloë holds a BFA from Emily Carr University of Art + Design in Vancouver, British Columbia Canada. She works as a visual and teaching artist in Oregon, Washington, Alaska and Vancouver, BC. Both her teaching and personal artwork are driven by a study of landscape and investigation of place. 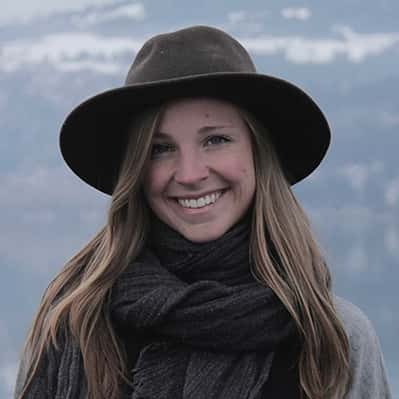 Growing up along the Columbia River in Hood River, Oregon, Chloë has spent her life developing a deep connection with the local ecosystem and the endemic species of the region. The natural world inspires and informs her work. Chloë focuses on sourcing and experimenting with locally and seasonally available native and invasive plant species, their inner fibers and natural pigments. She uses these materials to explore a variety of craft based techniques such as, weaving, natural dyeing, paper making. Chloë strives to engage her local community in collaborative art making, skills sharing, and storytelling to encourage place-based education and communal learning.